Key of C. French model, in-line G, silver-plated. Includes YAC-1310 case. 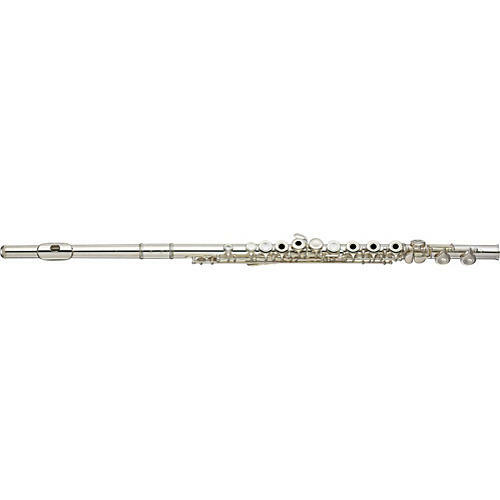 The headjoint, body, and footjoint of this Standard series flute are made of durable nickel-silver. Neoprene bumpers are used rather than cork to increase the durability and achieve a maximum fit against the body. This model has been improved with the following new features: a stronger post design to prevent bending of the posts, easily accessible adjustment screws, an improved adjustment screw material, and a body marking for proper positioning of the footjoint. The Yamaha Standard flutes have become a favorite among teachers because of the open sound and easy playability.